Homeopathic. 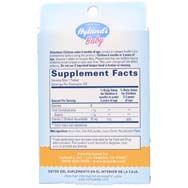 Acid Free Soluble Vit. C for Children. 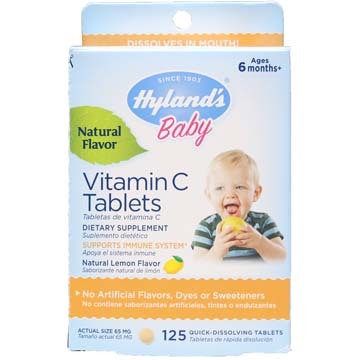 Each tablet provides children with 55% of the daily recommended requirement of Vitamin C.
Sodium Ascorbate is preferable to Ascorbic Acid (where gastric irritation may result from free acid) with pleasant natural lemon flavor.